A new model to study the transmission of Zika virus. 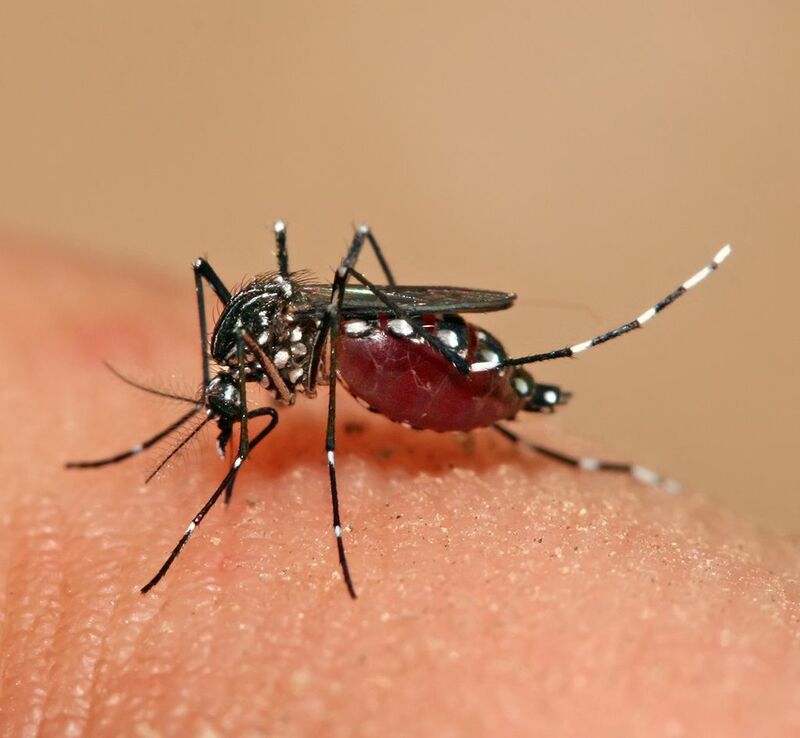 Scientists at the National Institutes of Health (NIH) have developed a mouse model to study the transmission of Zika from males to females, as well as from females to their fetuses. Scientists from the National Institute of Allergy and Infectious Diseases (NIAID) devised a way to make the typically-difficult mouse model be a reliable Zika model. Mice naturally defend against Zika better than people because they have a stronger interferon response. The scientists discovered a way to suppress the interferon in these mice, called anti-interferon Rag (AIR) mice, which have prolonged virus infection in the testes — similar to Zika-infected men. AIR mice also exhibited vertical transmission of Zika from mother to fetus. Intriguingly, only some fetuses from each female were infected with Zika, suggesting that the placenta may be a crucial barrier in preventing the virus from reaching the fetus and thereby resulting in birth defects. The research was published in Scientific Reports and is freely available online. In a separate Zika story, the ASU Biodesign Institute at the University of Arizona has used tobacco plants to develop a new vaccine candidate for Zika virus. The vaccine targets the DIII part of the Zika viral protein, which plays a key role in the ability of the virus to infect people. When conducting immunization experiments in mice, Dr Qiang Chen found that the vaccine conferred 100% protection from multiple strains of Zika. Plant-based vaccines are cheap to produce, and similar work was done with the ZMapp Ebola treatment. Dr Qiang hopes his research could move into initial stages of human trials within the next two years. This research was published in Scientific Reports. Scientists at Ohio State University have used mice develop a new way to reprogram skin cells. This could represent a breakthrough in repairing injured or ageing tissue. The new technique, called tissue nanotransfection, is based on a tiny device that sits on the surface of the skin of a living body. An intense, focused electric field is applied, allowing it to deliver genes to the skin cells beneath it – turning them into different types of cells. The device was put on the skin of the mice with legs that had had their arteries cut, preventing blood flow through the limb. The team found that they were able to convert skin cells directly into vascular cells -with the effect extending deeper into the limb, in effect building a new network of blood vessels. “Seven days later we saw new vessels and 14 days later we saw [blood flow] through the whole leg,” said Dr. Chandan Sen, from the Ohio State University. Sen and colleagues say they are are hoping to develop the technique further, with plans to start clinical trials in humans next year. This research was published in Nature Nanotechnology. Neuroscientists are trying to under how tangles of neurons produce complex behaviors. The brain is still largely unknown. Researchers hope to map out simple brains in hopes to see patterns that might be able to be applied to more complex brains. Researchers at Howard Hughes Janelia Research Campus are studying the brains of fruit fly larvae. The brains of these animals are comprised of 15,000 neurons as compared to 86 billion in the human brain. Researchers like Albert Cardona and Marta Zlatic‘s feel that a wiring diagram is an important step towards understanding how the central nervous system works. The nematode’s (C. elegans) brain, at just 300 neurons, was mapped in the 1980’s but scientists question its applicability to larger brains so have sought the fruit fly because it exhibits more complex behaviors and thus more complex neural pathways and actions but there is still much unknown about simple brains. Animals being looked at include the gastric system of crabs, larval zebrafish and specific regions of the brain. Neuroscientists hope that mapping the brain will help to understand why some therapies work for one but not for others and how new therapies can be developed to treat many debilitating diseases. Scientists destroy entire chromosome with CRISPR providing hope for future generations of individuals with aneuploidy, such as Down Syndrome –where an individual has an abnormal number of chromosomes. These researchers first, in vitro, used CRISPR-Cas 9 to induce numerous chromosomal breaks at the centromere on the long arm of the Y chromosome, effectively removing the chromosome from XY embryonic stem cells. Then, using male mice zygotes, in vivo, this team of researchers targeted 41 sites of the Y chromosome centromere, resulting in a 70% efficient removal of the Y chromosome. This research was published in the journal Molecular Therapy. Gold particles increases the efficacy of drug treatments for cancer. Gold can be used as a catalyst in chemical reactions. Researchers from Edinburgh University, using zebrafish investigated whether gold would improve the efficacy of drugs, via catalysis, used to treat lung cancer. Here, gold nanoparticles were encased in a “chemical device”, and the activation of the structure as well as the subsequent release of therapeutics studied — which worked with good efficiency. The lead author, Dr. Unciti-Broceta states “We have discovered new properties of gold that were previously unknown and our findings suggest that the metal could be used to release drugs inside tumours very safely.” This research was published in the journal Angewandte Chemie (Applied Chemistry). Posted on August 11, 2017 August 25, 2017 by EditorPosted in News, Research RoundupTagged CRISPR, Gold nanoparticles, neurons, skin cells, Zika virus. Next Next post: Research Roundup: GM Pigs and hope for the organ crisis, tiny robots helping to cure bacterial infections and more!